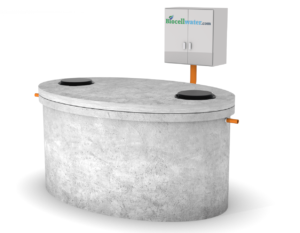 Biocell Water offers low cost, bespoke packaged hotel wastewater treatment plants for any type of hotel or guest house within the hospitality sector. We design and supply sewage treatment systems for new hotels and also upgrade existing hotel septic systems. Upgrading increases the capacity of a hotel wastewater treatment system and improves the quality of the hotel wastewater discharge. Our hotel wastewater solutions guarantee full compliance with the license conditions set down by the EA and EPA for regulating hotel sewage systems and commercial effluent. We provide multiple configurations to suit space requirements for any size hotel or guest house, even where there may be site restrictions. For hotels with existing septic tanks, we also offer SBR equipment kits to upgrade the septic system or cesspit to full functionality. Continue reading to learn more. 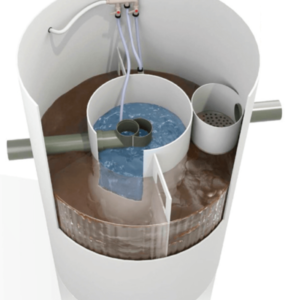 Why Choose Biocell for your Hotel Sewage System? Operational and maintenance costs after purchasing a hotel or guest house sewage treatment plant are considerably lower when the system is highly efficient. Biocell SBR wastewater treatment process uses patented SBR technology to clean the hotel sewage to industry leading standards. 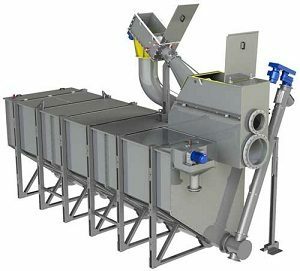 The SBR process technology is particularly effective for applications that produce concentrated and highly variable flows of wastewater, ideally suited to hotels and guest houses. This advanced treatment technology uses 60% less electricity compared to standard systems. 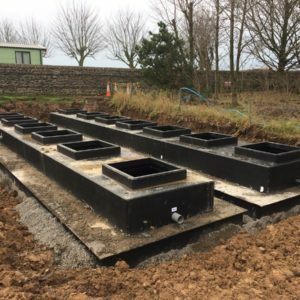 If long term running costs are a concern we provide the option of non electric sewage treatment plants with the lowest operational costs on the market. Our typical commercial sewage system design structure includes large primary settlement tanks for extra long desludging intervals. For maintenance purposes, we have kept things very simple – there are no mechanical parts inside the tank and all separate components are interchangeable with alternative brands. This means that any local company can carry out maintenance. As part of our services, we like to offer our clients optional value for money maintenance packages. This is to ensure the longevity and optimum performance of our sewage treatment products. Non electric and SBR technology result in low operational and running costs but installing a Biocell concrete commercial system will result in equally low installation costs. 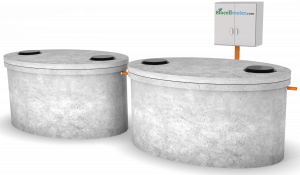 Unlike large commercial plastic tanks, our concrete tanks do not require a concrete surround which eliminates the need for costly civil works at your hotel. Another cost effective option for low installation costs is an above ground containerised wastewater treatment plant. 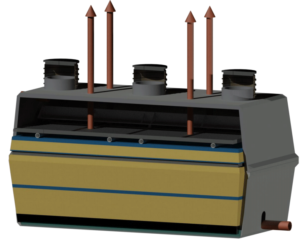 This is a versatile modular wastewater treatment solution. Modular basically means that you can expand the system for an extension or a new hotel building in the future. It is a complete packaged plant, with the entire treatment process completed inside – an ideal solution where there are site restrictions. When purchasing a commercial septic system for your guest house or hotel, the guarantee is worth taking note of. Biocell commercial concrete hotel sewage systems come with a 40 year structural warranty and guarantee. No other manufacturer offers an equivalent warranty. 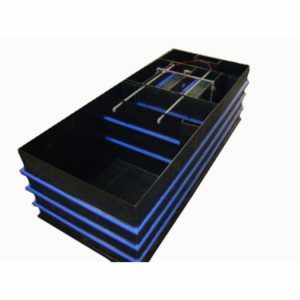 Plastic and GRP tank manufacturers provide a short 10-15 year guarantee which is void unless specialist installation works are carried out by industry professionals. Biocell Water are the only manufacturer offering a guarantee that our wastewater treatment plants will not need replacing or removal after 10-15 years due to structural failure or deformation. Get in touch to speak with member of the technical sales team. Once we know your site specifications and treatment requirements we can provide a no obligation quotation. If you have any questions relating to wastewater treatment for a hotel or would like to enquire about prices we are happy to help. If installing an entirely new system is not an option for your hotel, we can simply retrofit Biocell SBR equipment within an existing septic tank. This offers a simple way of upgrading an existing wastewater treatment system in a hotel or guest house to full functionality. Biocell worked with us to get our old septic system back in order with a new kit and we didn’t lose any business they had it sorted so quickly. Needed to upgrade the entire system, friend recommended, really pleased with the overall service and system itself. Seemingly best on market, so far so good?